This page has been viewed 71 times this month, and 3698 times total. 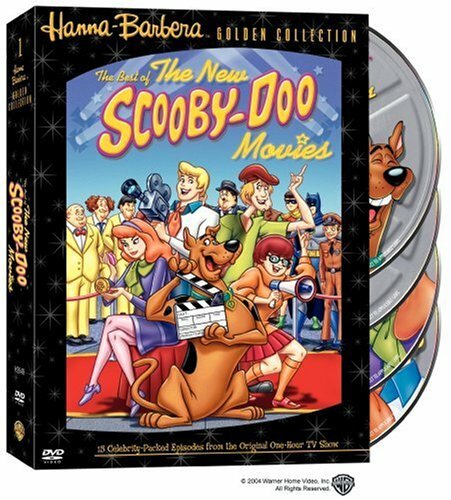 Cartoon Characters: Scooby-Doo, Freddy Jones, Daphne Blake, Norville "Shaggy" Rogers, Velma Dinkley, Davey Jones, The Duke Of Strathmore, The First Earl Of Hagglethorn, Cyrus Weedley The Farmer, Creech. Directed By William Hanna, Joseph Barbera, Charles Nichols. Editor: Earl Bennet, Ron Sawade, Pat Foley, Larry Cowan. First Aired on December 02, 1972. This series originally ran through Oct 27, 1973. Do you have anything to add to this page? Have we made any mistakes... or do you have any additional information about The Haunted Horseman Of Hagglethorn Hall? If so, we would love to hear from you. Please send us a quick note with your additions or corrections to this page, and we will make the corrections as soon as possible! Below are comments about this cartoon submitted by people who have seen this show. Take a look and see what others have said about The Haunted Horseman Of Hagglethorn Hall. We want to know what you think, too!! Feel free to share your own opinion- we do want to hear from you! You can add your own comments here. I like Scooby Doo anyway but then you trow in Davy Jones and I'm really gonna watch. Best cartoo around,Scooby Doo. The Haunted Horseman Of Hagglethorn Hall by Big Cartoon DataBase is licensed under a Creative Commons Attribution-NonCommercial-ShareAlike 4.0 International License.